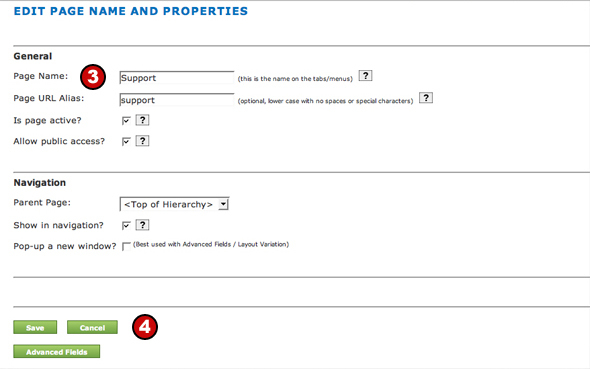 The page properties screen provides a friendly user-interface for entering the metadata for your site including title, description and keywords. 1. From the Toolbar click on "Pages/Menu" tab. 2. Click on the "Edit Page Properties" button. 3. Type a name for the Page URL Alias (include as many keywords as possible). Separate words with a hyphen to be search engine friendly. Read about hyphens.